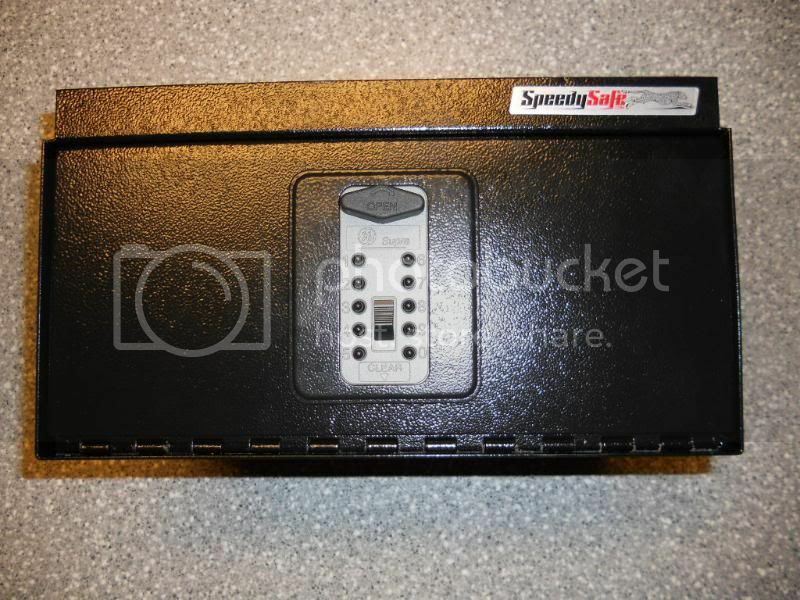 The SpeedSafe features a GE TouchPoint keyless pushbutton cam lock. 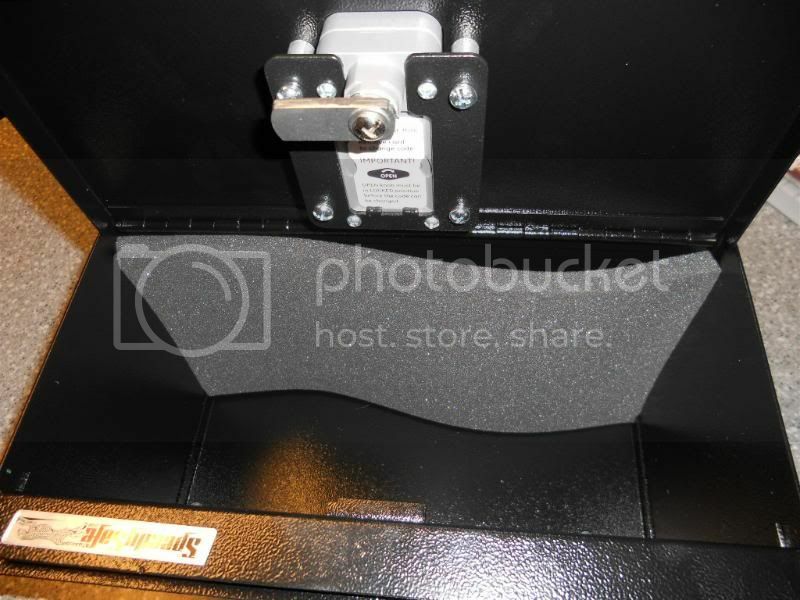 This lock system provides quick access to a firearm or other important valuables,and prohibits children, (or other unauthorized personnel) from accessing the safe. 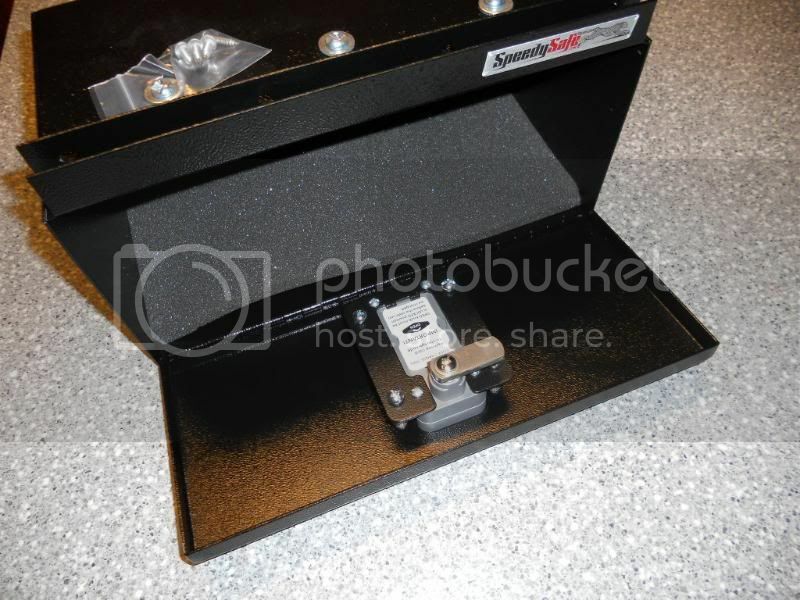 The SpeedySafe Personal Vault is specially designed to attach easily to standard metal bed frames and most wooden frames and sideboards ¾” to 1” thick. Other features include a concealed hinge, (to prevent pin removal) and a foam-lined base interior to cushion the most delicate valuables. Inner dimensions: Length: 12" Height: 5.5" Depth: 6.625"
Keyless entry with no batteries is a definate selling point for this safe. No matter the combo you program any combination of those numbers will work. Let say you program 1478. Not only will 1478 open the safe, but any combination of those numbers will. In a high stress situation when you just awoke in the middle of the night and have to get to your handgun, you may or may not be thinking clearly, you may push the number in the wrong order. as long as you hit the correct numbers no matter which order you can access the safe. The down side to this is that you have to be careful in your number selection. say you choose 2413 as your combo. 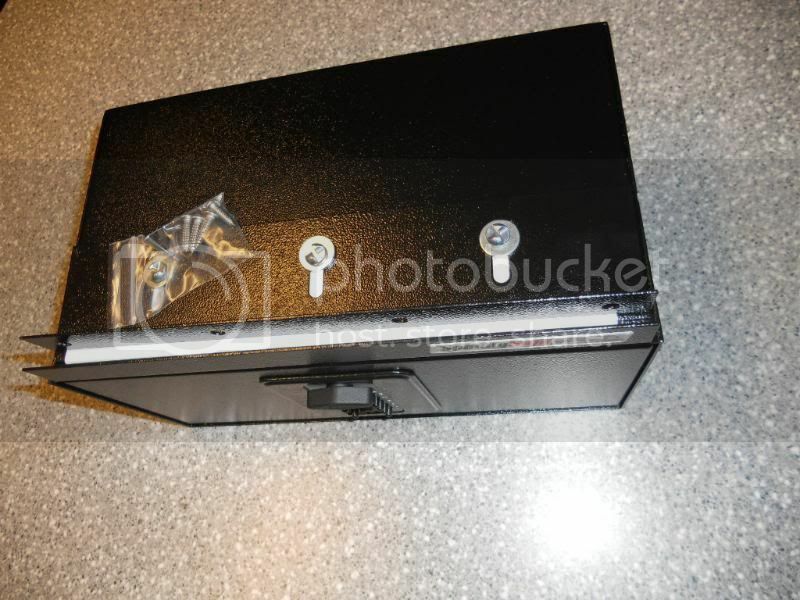 Instantly your child can push 1234 and open the safe. So put extra thought into your combo. It is very sturdy and well made. The lock is smooth and has positive audible clicks when you punch in your combo. The door opens easily allow quick access to your firearm and valuables. The safe is spacious enough for quite a few items. I fit a Glock 23 with weaponlight, 2 extra magazines, Handheld light, Knife, Cash, and still had room for more. The safe fit perfectly under 2 beds in my house but was too low for one which is a higher than normal bed "kinda how there making them these days. I would like for the door to be spring loaded as a possible upgrade. The SpeedySafe is a GO. It provides quick access to your firearm and/or valuables. 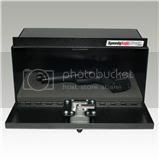 It provides a battery free, durable bedside safe at a reasonable price. 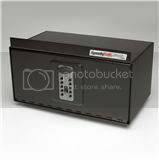 If you dont have some sort of quick access safe and are in the market, I would recommend this safe.